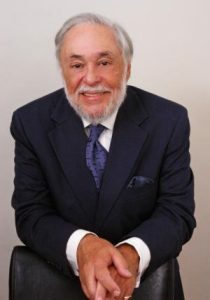 North Bay Leadership Council (NBLC) has chosen Dr. Ruben Arminana as it’s Spirit of Sonoma Honoree because his is one of the greatest presidents of Sonoma State University. We recognize his excellence in transforming Sonoma State University into a major community asset, consisting of academic achievement, facility enhancement and the creation the Green Music Center — which will be a North Bay magnet for the arts and tourism. Dr. Arminana remembers where he came from and strives to help others reach their goals, especially the Latino community. As a member of NBLC, Dr. Arminana has provided great leadership in our public policy work, ensuring that we prioritized education and developed public/private partnerships to improve our region’s ability to produce the workforce of the 21stcentury. Dr. Arminana was born in Cuba, from where he fled in 1961. Arminana says he arrived in the U.S. “with a change of underwear and a dime in my pocket.” He earned a B.A. degree in economics, political science and Spanish and an M.A. degree in Latin American economics and political science from the University of Texas at Austin. He went on to earn his Ph.D. in political science from the University of New Orleans in 1983. In New Orleans, Arminana began his career in academia at Tulane University. In 1988, Arminana moved to California to serve as Vice President for finance and development at California State Polytechnic University, Pomona. He was appointed the sixth President of Sonoma State University in 1992. He is also a professor of Political Science and teaches periodically. Arminana is the former president of the Western College Association and also serves on several CSU systemwide committees. As president, Arminana has excelled in furthering the academic and instructional programs of the University, leading SSU to be one of the most popular campuses in the CSU system. During Arminana’s term in office, the university has constructed major new facilities including the Green Music Center, Schulz Information Center (considered to be the best library in the CSU system), student recreation center, doubling the amount of residence halls, Environmental Technology Center and the renovation of Salazar Hall which enhances the University’s 21st Century Science programs. In addition, the university acquired the 411-acre Fairfield Osborn Preserve and the 3,500-acre Galbreath Wildlands Preserve. Academic programs initiated during Arminana’s presidency include B.S. and M.S. degrees in Engineering Science, a wine business concentration for B.A. and M.B.A. degrees, and a highly successful Osher Lifelong Learning Institute. As the longest serving president of SSU (19 years), Arminana has transformed the university from a commuter college at risk of closing due to faltering enrollment to a university where 10 students apply for every available seat and won the title of being the “Ivy League campus in the CSU system.” His vision and determination have changed the campus from Granola U to a university of acclaimed educational accomplishment and facility enhancements of over one million square feet of new buildings. The new Green Music Center is a remarkable testament to his commitment to put SSU at the center of North Bay arts and community life. He has been a leader in growing diversity on campus through his formation of the President’s Diversity Council and working to bring more qualified Latino students from Sonoma County to SSU. In 2005, Arminana was named to the list of the “100 Most Influential Hispanics” by Hispanic Business Magazine. Arminana created the Educational Mentoring Team program, instituted the Assured Access Program (requiring 24-hour access to personal computing for all students), and supported the founding of the master’s degree program in Computer and Engineering Science in conjunction with the North Bay technology community. Arminana has masterfully handled continuing deep budget cuts from the state, keeping SSU thriving while dealing with a budget that is where it was 15 years ago. He increased the university’s endowment by 10 times, to just under $30 million. He has led the university to become more cost efficient and sustainable through adding alternative energy improvements. Even his sharpest critics express admiration and acknowledge that Arminana will go down in history as one of the greatest presidents of SSU.